Accountability and Performance: ASPA’s Center for Accountability and Performance (CAP) addresses the requirement for all levels of government to move toward performance-based, results-driven management, through education, training, advocacy, technical assistance, resource sharing and research. Professionalism: Involvement in ASPA’s Chapters and Sections gives members the opportunity to advance their careers by becoming active in their local public administration community. Sections provide more networking opportunities through conferences and other professional development activities. They also have a variety of award and scholarship opportunities. In addition, ASPA offers many professional development opportunities, including monthly webinars and online conversations, BookTalk, with noted authors in the field. Ethics: ASPA’s Code of Ethics implores members to adhere to certain principles while working in the field of public service. Also, through membership in ASPA’s Section on Ethics, members can access a variety of resources including the leading ethics journal in the field, Public Integrity, and Ethics Today, an award-winning electronic newsletter. Social Equity: ASPA promotes dialogue on social equity issues in all areas of public service such as public budgeting, government hiring practices, diversity in academia and others. Additionally, each year at the Annual Conference, ASPA hosts the Gloria Hobson Nordin Social Equity Award Luncheon where it honors a public administrator who has distinguished him or herself in achieving fairness, justice and equity in government. Interested in learning more about ASPA? View the below links and resources. thanks for your interest in ASPA. To find out more about our membership, please visit our website at http://www.aspanet.org. You can also call our Membership Manager at 202-585-4310. Thanks for reading the ASPA blog and for reaching out. You can learn more about ASPA at our website, http://www.aspanet.org. There is also information on our site about our membership dues.If you are interested in contributing to the ASPA blog, please email me at mwilliams@aspanet.org. I hope this info is helpful. I finished my Master in Public Administration last year and would like to be active in this field, not only career-wise, but more importantly, to continue learning and to somehow influence the development of public service. I am an American residing in Europe, and there is much to learn from and share with each other. 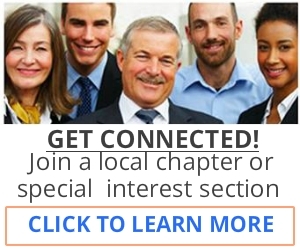 How do I become an ASPA member? How can I contribute? If you wish to attend the ASPA conference in Baltimore this year, the Section for Women in Public Administration offers scholarships for female graduate students. Otherwise, I suggest you contact the schools you are interested in attending. I know that Arizona State University has several scholarships and teaching jobs that offer tuition remission. Does ASPA offer grants or scholarships for minorities pursuing an MPA? Or do you know of any organizations that specifically target funds for minorities that want to get an MPA ?